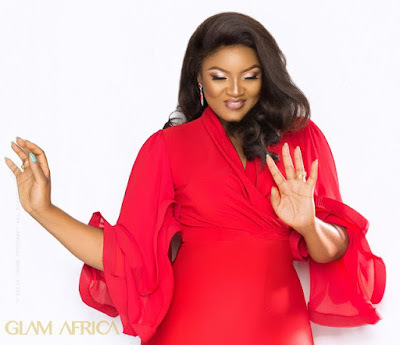 Veteran Nollywood screen diva, Omotola Jalade-Ekeinde can’t keep calm as she’s already gearing up for her 40th birthday celebration, coming up on the 7th of February.. The actress has shared an incredibly stunning photo in a red dress to tease her fans as she waits to clock 40 in 5 days time. 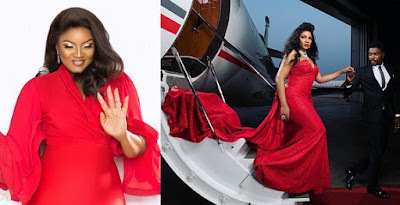 In the picture, the screen goddess is seen stepping out of a private aircraft with a young man helping her out as her dress walked the pathway down the aircraft.